Drug overdose deaths, once rare, are now the leading cause of accidental death in the U.S., surpassing peak annual deaths caused by motor vehicle accidents, guns and HIV infection. As a former public health official, clinician and researcher, I've been engaged in efforts to control the opioid addiction epidemic for the past 15 years. The data show that the situation is dire and getting worse. Until opioids are prescribed more cautiously and until effective opioid addiction treatment becomes easier to access, overdose deaths will likely remain at record high levels. Opioids are drugs that stimulate the brain's opiate receptors. Some are made from opium and some are completely synthetic. In the U.S., the most commonly prescribed opioids are hydrocodone and oxycodone, which are classified as semi-synthetic because they are synthesized from opium. Heroin is also a semi-synthetic opioid. The effects of hydrocodone and oxycodone on the brain are indistinguishable from the effects produced by heroin. Opioids are essential medicines for palliative care. They are also helpful when used for a couple of days after major surgery or a serious accident. Unfortunately, the bulk of the opioid prescriptions in the U.S. are for common conditions, like back pain. In these cases, opioids are more likely to harm patients than help them because the risks of long-term use, such as addiction, outweigh potential benefit. Opioids have not been proven effective for daily, long-term use. Evidence suggests that chronic use of opioids can even make pain worse, a phenomenon called hyperalgesia. Over the last two decades, as prescriptions for opioids began to soar, rates of addiction and overdose deaths increased in parallel. The increase in opioid prescription was fueled by a multifaceted campaign underwritten by pharmaceutical companies. Doctors heard from their professional societies, their hospitals and even from state medical boards that patients were suffering needlessly because of an overblown fear of addiction. The campaign minimized opioid risks and exaggerated the benefits of using opioids over the long term for chronic pain. 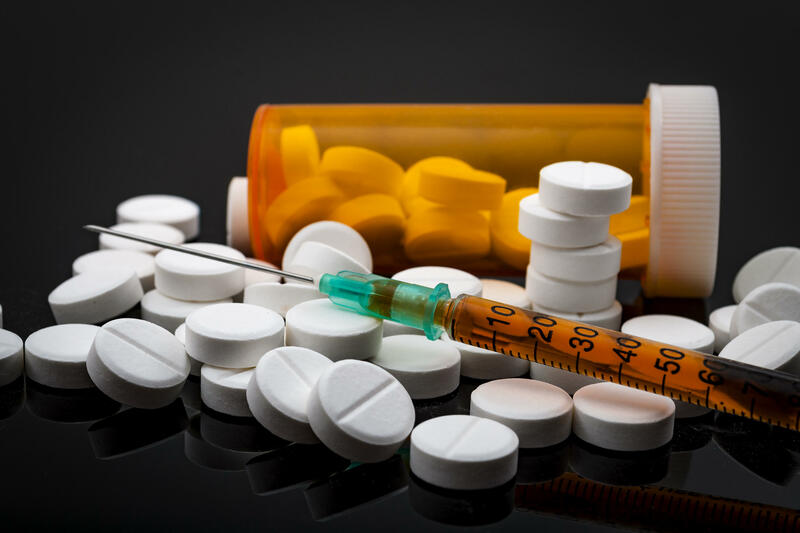 Several states and counties have recently filed lawsuits against opioid manufacturers for the role they played in causing the opioid addiction epidemic by misleading the medical community. Until 2011, most opioid overdose deaths involved prescription opioids. Then prescription opioid overdose deaths leveled off, while overdose deaths involving heroin began to soar. Why did this happen? A common misconception is that so-called "drug abusers" suddenly switched from prescription opioids to heroin due to a federal government "crackdown" on painkillers. There is a kernel of truth in this narrative. It's true that the vast majority of people who started using heroin after 1995 switched from prescription opioids because heroin was easier to obtain. But heroin use among young whites has been increasing since before 2011. From the beginning of the opioid crisis, young adults who became addicted to prescription opioids would switch to heroin, a less expensive option. As young people switched to heroin, the heroin supply also became more dangerous. This caused the sharp increase in heroin overdose deaths in 2011. Increasingly, fentanyl, a potent and inexpensive synthetic opioid, was mixed with heroin or sold as heroin. Until 2013, medical examiners didn't routinely test heroin overdose victims for the presence of fentanyl, but once they did, an alarming trend appeared. Preliminary data indicate that, in 2016, deaths involving fentanyl surpassed deaths involving prescription opioids and heroin. There's another reason not to believe the narrative about a "crackdown" on painkillers leading to a sudden shift to heroin: There hasn't been a crackdown on prescription opioids. Despite some slowdown, the medical community continues to overprescribe opioids. In fact, U.S. per capita opioid consumption is much higher than other developed nations. Our oxycodone consumption has started to decline, but it remains much higher than oxycodone consumption in Europe. To bring the opioid addiction epidemic under control, the medical community must be more cautious about prescribing opioids. Federal and state governments also have to ensure that the millions of Americans now suffering from opioid addiction can access effective addiction treatment. Buprenorphine and methadone maintenance -- also known as medication-assisted treatment -- are preferred treatments for opioid addiction. When patients with addiction take these medications, they are able to function and have an improved quality of life. These treatments also reduce the risk of overdose death and injection-related infectious diseases. Buprenorphine is safer than methadone and other opioids, so it can be prescribed from a doctor's office. Methadone maintenance is administered under supervision in clinics that patients visit daily. Unfortunately, many patients are unable to access these treatments. Despite a sharp rise in opioid addiction over the past decade, there has been only a slight increase in referrals for medication-assisted treatment in state-licensed drug treatment programs. Patients who are able to obtain treatment with buprenorphine must often visit private practice physicians who don't accept commercial insurance or Medicaid. Until effective treatment for opioid addiction is easier to access than opioid painkillers, heroin or fentanyl, opioid overdose deaths are likely to remain at record high levels.